The 2018 Civic Hatchback is joining up with the 2018 Honda model lineup in Orange County, CA and you don’t want to miss out! It has already been a winner with customers due to its fun-to-drive attitude and premium features. The 2018 Civic Hatchback comes with many trims available. Choose from the LX, Sport, EX, EX-L and the Sport Touring trims. Either of these will give you the sporty and high-performance feel you are craving from a new car. Drivers everywhere know that this Honda is going to be a hit. In fact, the Civic is still the top-selling car in America, and for good reason. The Civic Hatchback is powered by the 1.5-liter DOHC direct-injected turbocharged in-line 4-cylinder motor. This offers a peak output of 174 horsepower when you choose the LX, EX and EX-L Navi. If you prefer the Sport or Sport Touring trim, that number will bump up slightly to 180 horsepower. There are plenty of other features to boast about in the new Hatchback. Some of these include the 7-inch Display Audio with Apple CarPlay™ and Android Auto™ compatibility. Some trims also offer the suite of Honda Sensing® safety and driver-assistive technologies. The full suite includes Collision Mitigation Braking System™ (CMBS™), Lane Keeping Assist (LKAS), Forward Collision Warning (FCW) integrated with CMBS, Road Departure Mitigation (RDM), Adaptive Cruise Control (ACC) and Lane Departure Warning (LDW) integrated with RDM. 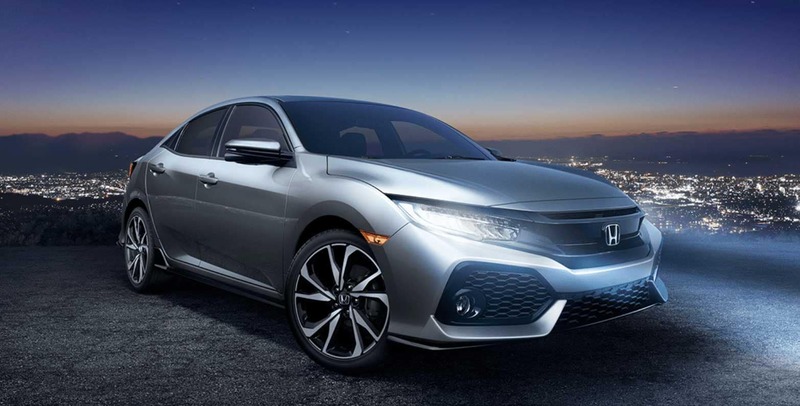 It is time for you to see the new Honda Civic for sale in Anaheim, CA. Our experienced staff knows how to help you find all the new Honda vehicles for sale near Fullerton, CA. No matter which car you have your eye on, we can help you get the best deal. Give us a call or stop by our showroom today.